Goals from defenders Nabil Dirar and Medhi Benatia handed Morocco a 2-0 away win over the Ivory Coast on Saturday in their last World Cup qualifier and booked a return to the finals for the first time in two decades. 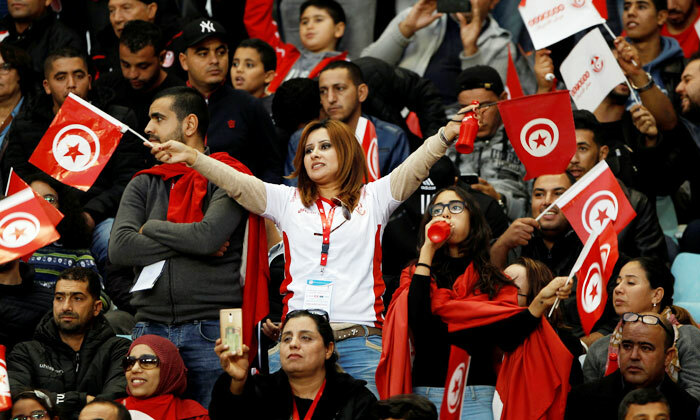 But after weathering an early storm, including a potential penalty call, Morocco scored two goals in the space of five minutes to put themselves on their way to the finals, where their last appearance was in France in 1998. Dirar’s cross from the right evaded both a diving Khalid Boutaib and the Ivorian goalkeeper Sylvain Gbohouo to give Morocco a 25th-minute lead. The goalkeeper was almost beaten again four minutes later when an awkward free kick from Hakim Ziyech took him by surprise at the near post. But from the resultant corner, the home defence were caught napping and central defender Benatia was able to calmly stick out his foot and guide the ball into the net to make it 2-0. Morocco could have been 3-0 up just seconds into the second half when Gbohouo made a hash of a cross, allowing the ball to fall to Mbark Boussoufa, whose goalbound effort was cleared off the line by Serge Aurier. The Ivorians might have taken the lead when captain Gervinho missed an early chance and then looked unlucky not to be awarded a penalty when Romain Saiss pulled back Wilfried Zaha. Instead the referee gave a free kick on the edge of the box which Max Gradel hit straight into the wall. Aurier might have given the hosts a chance to launch a fight back in the final 20 minutes, but he blasted the ball wildly over the bar with the goal at his mercy. Tempers spilled over as the two sides exchanged wild tackles and punches in the closing stages and Ivorian fans pelted the pitch with objects as their frustration boiled over. Morocco completed the campaign without conceding a goal, finishing on 12 points, four ahead of the Ivorians. Gabon had seven and bottom-placed Mali five. 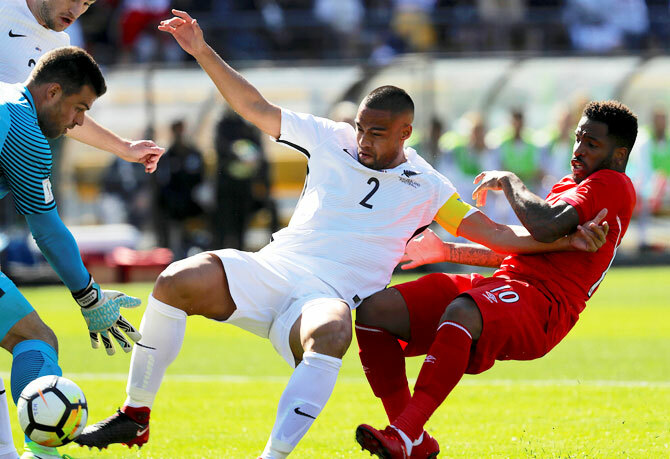 New Zealand weathered a lack of possession and territory to hold Peru to a 0-0 draw in the first leg of their World Cup playoff at Wellington Regional Stadium on Saturday. New Zealand goalkeeper Stefan Marinovic made a goal-line save after a mixup in defence and then tipped over a header from Aldo Corzo in the second half as the home team held their shape in the intercontinental playoff. All Whites midfielder Ryan Thomas had arguably the best chance but his 85th-minute shot flashed centimetres wide of the right-hand post and the sides head to Lima dead-locked for the second leg on Wednesday. Wood forced the only real save by Pedro Gallese with his first touch before Thomas had his chance to send the crowd of 37,034 into delirium when a loose ball fell to him. His shot flashed just wide. 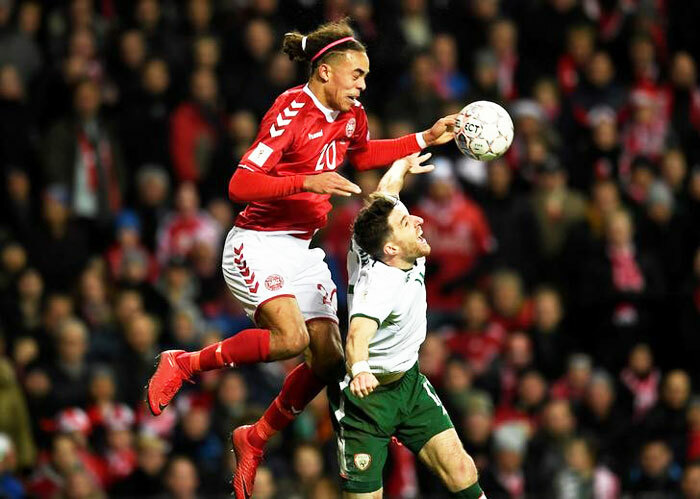 Goalkeeper Darren Randolph pulled off a string of fine first-half saves as Ireland held Denmark to a scoreless draw in the first leg of their World Cup playoff on Saturday, with the two sides due to meet again in Dublin on Tuesday. The Irish defended deeply form the first whistle, denying playmaker Christian Eriksen space, but the Danes still managed to fashion half a dozen scoring chances in a goalless first half. With his side barely venturing forward in attack, Randolph was called into action early, parrying a stinging volley from Jens Stryger Larsen and smothering an attempt from Andreas Cornelius to hammer home the rebound. Eriksen and Pione Sisto also went close for Denmark in quick succession, and Randolph tipped over a late header from Yussuf Poulsen to ensure his side escaped from the Danish capital with a draw.